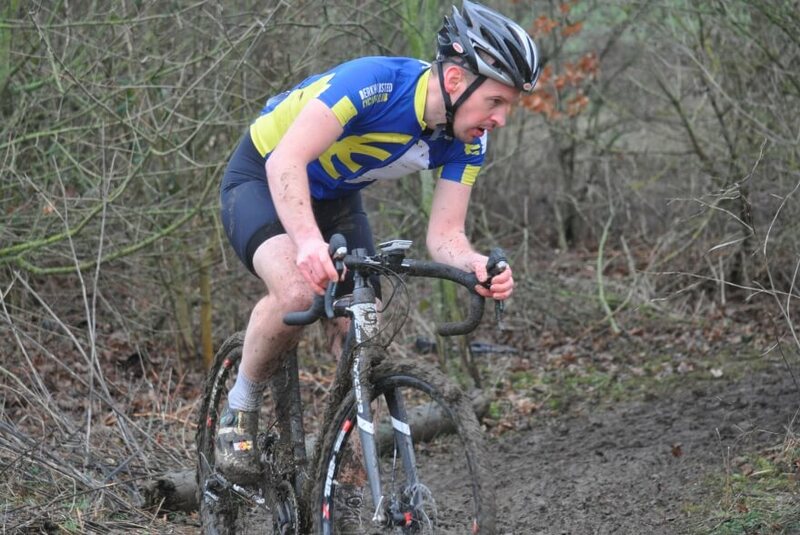 Central Cyclocross League Round 15 – Hillingdon. 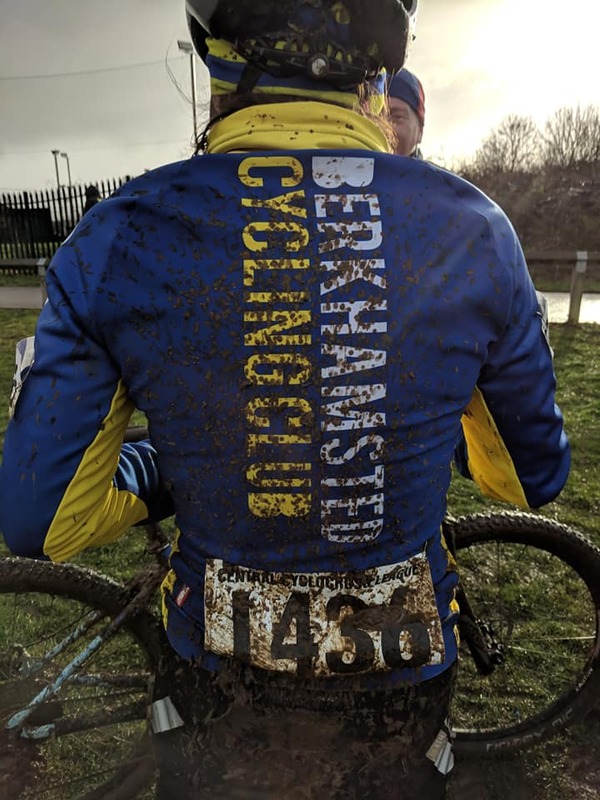 On Sunday 27th January a band of intrepid BCC’ers braved the wind, and the rain, and the wind and the hail, and the wind, and the cold, and the wind, and the mud and very occasionally some pleasant sunshine to compete in the final round of this year’s Central Cyclocross League (CCXL). 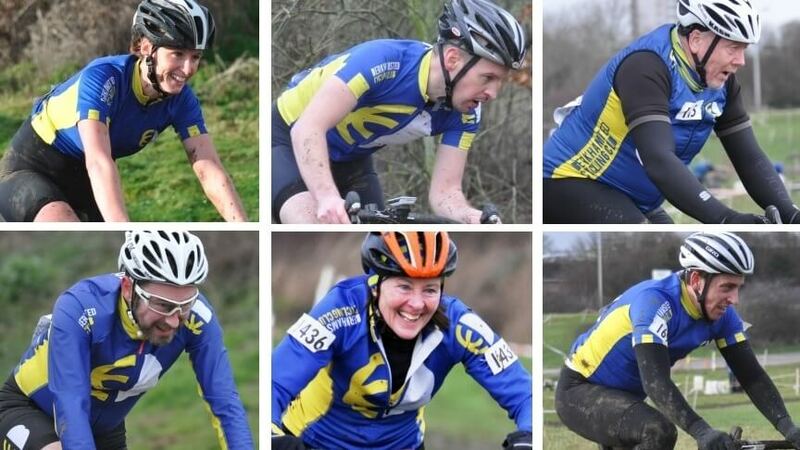 Taking part were Robin Lord, in his first CX race of the year, Niamh and Mervyn Dempsey, Janice Bell, who was taking part in her very first ever CX race, Jonny Gray and yours truly (Jez Kidd). 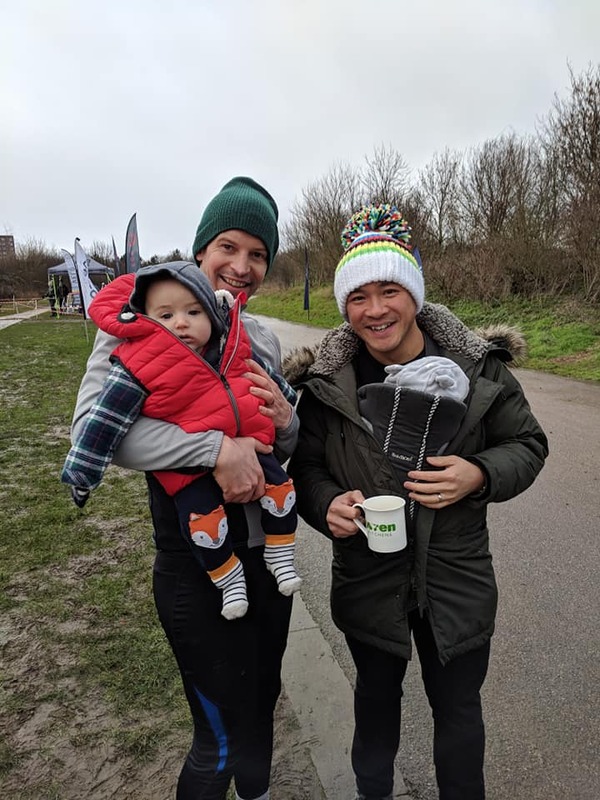 The racers were ably supported by a host of BCC ‘spectatheletes’: IT guy, photographer and all round club supporter Trevor Hill, Men’s Captain Rob Morton, Neil and Charlie Barnes (who was dressed as a Chicken), Tommy and Marie Wong and Baby Ben. 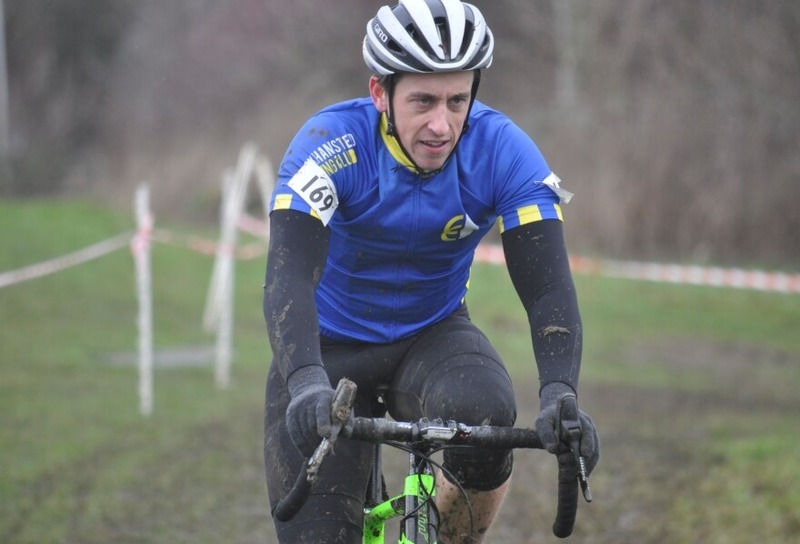 This year’s CCXL has brought us a little bit of everything, and so it was with today’s race, which brought us four seasons in one day, with a double helping of mud. 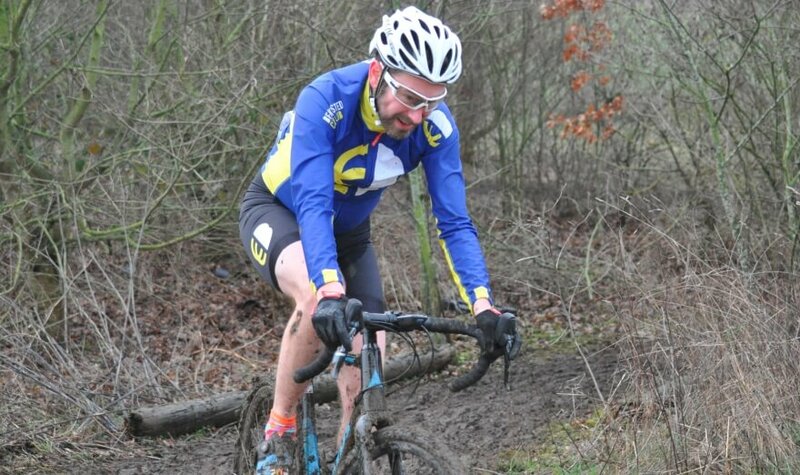 The course wound its way around the Hillingdon road circuit, a familiar venue to any crit racers, but today put to a slightly different purpose. 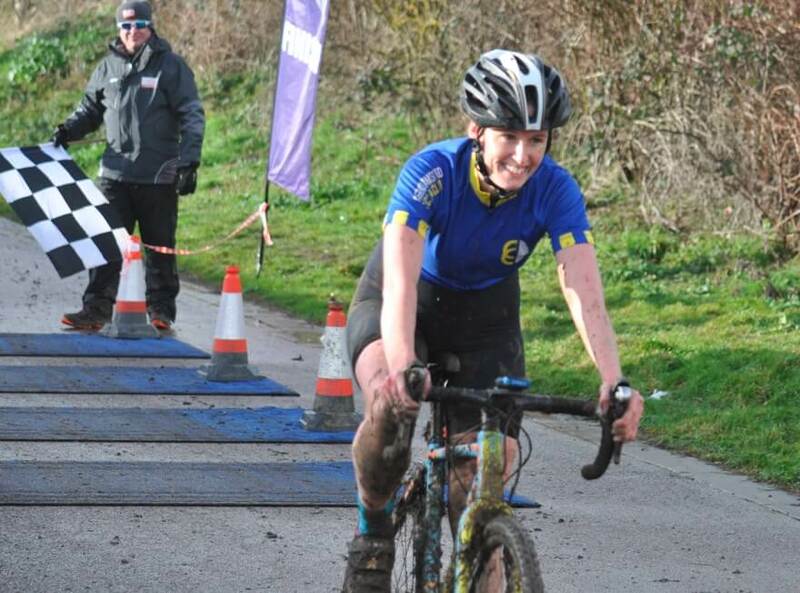 The course started on tarmac before diving onto the grass and a series of tight turns and small rises for a truncated first lap, which brought the race quickly back to the start line and a now extended course which included two short steep drops, with two equally short steep climbs. 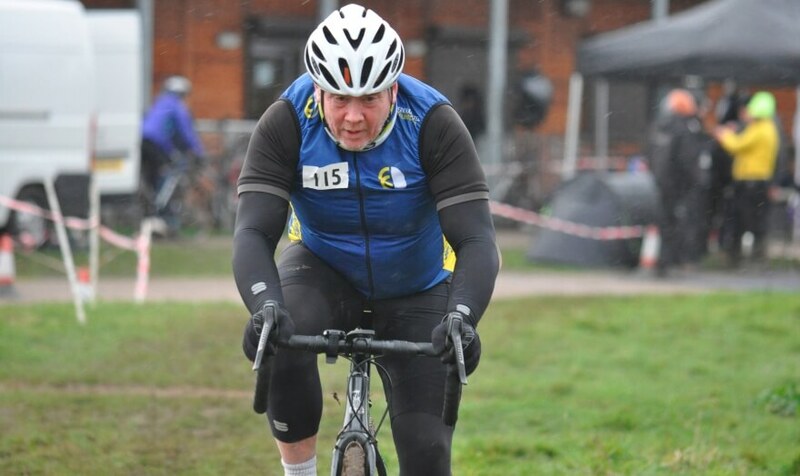 The race took in off camber sections (resulting in an off camber club secretary on more than one occasion), the obligatory hurdles and tight tracks through trees and bushes. 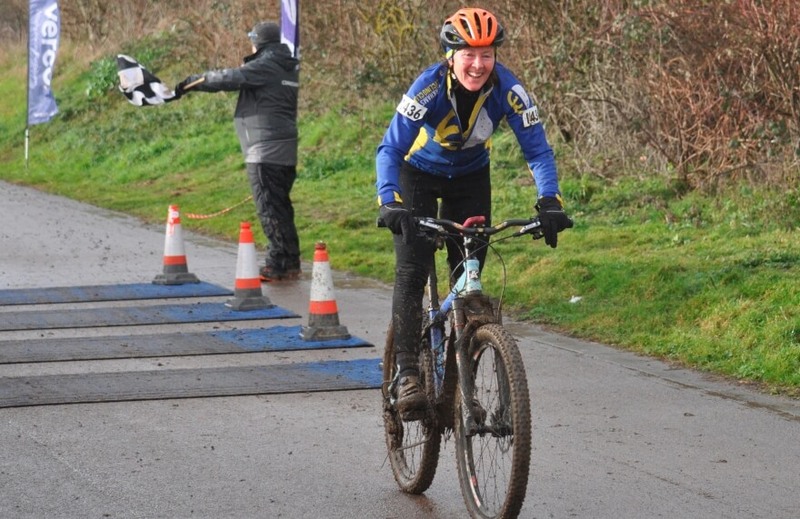 While it didn’t feature as much climbing as some of the previous rounds it more than made up for it with lots of the aforementioned mud which meant plenty of going sideways and running with the bike, with the small number of gravel and paved sections never being quite long enough to get your breath back. 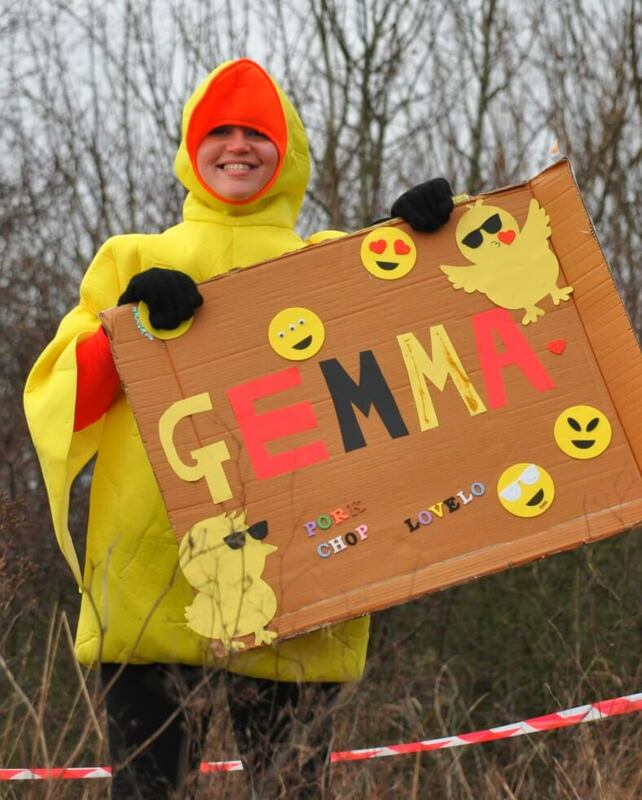 All in all a fantastic race and brilliant fun to be part of.